Welcome to The Austin Mohs Surgery Center. Our dedicated team of professionals offers skin cancer diagnoses and treatment options, including Mohs micrographic surgery, that are designed to effectively remove cancerous lesions while minimizing damage to surrounding tissues. We focus on providing patients comprehensive, compassionate care utilizing the most effective surgical skin cancer treatments available. 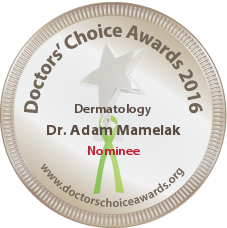 Dr. Adam Mamelak is specialty-trained and highly experienced in Mohs Micrographic surgery. Our board-certified dermatologist and Mohs surgeon relies on a combination of education, experience, technology, and personal attention to help patients obtain successful outcomes that reduce risks to their health and minimize residual scarring. At The Austin Mohs Surgery Center, you can expect commitments to safety, quality, and results with a conscientious approach. If you would like more information on skin cancer evaluations and treatment options, please contact us to schedule a consultation. Skin cancer is the single most common form of cancer that affects Americans today. Nearly a million new cases are diagnosed each year, and it’s estimated that as many as one in five people will develop some form of skin cancer in their lifetime. Fortunately, early detection dramatically reduces serious health risks, including death. Skin cancer generally occurs as a result of exposure to ultraviolet (UV) radiation, including exposure to the sun, tanning beds, or even black lights. Though it is the primary cause, UV radiation isn’t the only culprit in skin cancer development. Tobacco smoke, genetic predispositions, and certain immunosuppressive medications can also contribute to a skin cancer diagnosis. It’s possible to reduce the risk of developing skin cancer with preventative measures, such as wearing protective clothing, applying effective sunscreens regularly, limiting sun exposure, and undergoing a yearly medical examination. Annual screenings can detect early signs of cancer and treat them before they can cause serious harm. A skin cancer diagnosis can be scary, but there are many effective treatments available, especially if it’s caught early. In fact, melanoma skin cancer has one of the highest survival rates among all cancers. Approximately 80% of skin carcinomas appear on or near the face, so it’s important to minimize damage to the surrounding area when choosing a skin treatment. Advanced procedures like Mohs micrographic surgery and skin cancer reconstruction can help diminish scarring while eliminating cancerous lesions. The most frequently occurring skin cancer is basal cell carcinoma (BCC). It’s often located in areas receiving heavy sun exposure, such as the face, neck, shoulders, arms, or hands. It’s extremely treatable and rarely dangerous unless positioned in particularly sensitive regions, such as the eye. Formed in the lowest layer of the epidermis, it usually manifests as a pearly, translucent raised bump, but can also appear as a red crusty spot or white patch. It’s slow growing, and it seldom expands beyond the affected area, but it is most likely to occur in fair-skinned patients. All types of skin cancer are serious, but most forms are highly treatable if detected early. Annual medical examinations coupled with monthly self-inspections can help identify symptoms before they become dangerous, and preventative measures can reduce or eliminate the chances of developing skin cancer at all. The second most common form of skin cancer is squamous cell carcinoma (SCC), but it’s far less prevalent than BCC. While still very treatable, SCC is more aggressive, and it can be life-threatening if ignored. It develops in the middle to upper layer of the epidermis and may spread to deeper layers of the skin and cause greater damage. Like BCC, it affects light-skinned individuals and those who endure heavy sun and UV exposure, and it’s usually found on the face, forearms, or backs of the hands. SCC resembles a red scaly patch, sometimes with a hard rounded nodule, and it may also bleed or fester. Malignant melanoma is responsible for the majority of skin cancer related deaths, but it’s also the least common form of skin carcinoma. Often confused with healthy moles, melanomas are generally uneven in color, asymmetric in shape, or wider than six millimeters in diameter. 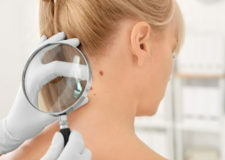 Any mole that changes shape or color or appears suddenly should be examined immediately, as melanomas spread quickly. Fair-skinned people are more susceptible to malignant melanomas, but all skin types and ethnic backgrounds are vulnerable. Melanomas can appear anywhere on the body, and even previously healthy moles can become cancerous. 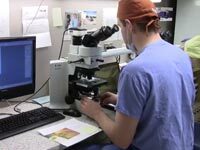 Originally developed by Dr. Frederick Mohs while working at the University of Wisconsin, Mohs micrographic surgery is the single most effective and successful skin cancer procedure currently available, with a cure rate of over 99%. Specialized training programs managed by the American College of Mohs Surgeons and others in the United States train dermatologists to perform this state-of-the-art technique. Mohs’ unparalleled success rate lays in its precision and advanced diagnostics. The process involves mapping the path of the cancer with a microscope, leading to the full removal of the tumor and all of its roots with very limited effects on the surrounding healthy tissue. It’s particularly advantageous in delicate areas of the face where functionality and aesthetics are of paramount concern, such as the lips, eyelids, and nose. Because of its exceptional accuracy, Mohs is often used to treat difficult cases of skin cancer, including carcinomas that are especially aggressive or recurrent, have indistinct borders, or were previously treated with radiation. It’s also a superior option for patients with certain genetic disorders or suppressed immune systems. What Activities Can I Do After Getting Stitches? Why Do the Lower Legs Take Longer to Recover from Mohs Surgery? Should I Be Worried About My Inflamed Mole? What is involved in the Mohs Surgery procedure? Is Mohs surgery the best choice for you? What qualifications should I look for in A Mohs Surgeon? What kind of training do Mohs Surgeons receive? Is Mohs Surgery covered by Insurance? What skin cancers are treated by Mohs Surgery? Why should I get Mohs Surgery to treat my Skin Cancer? Can Malignant Melanoma be treated with Mohs surgery? What is the best way to prepare for my Mohs surgery? Is Mohs Surgery a lengthy procedure? Does the doctor use general anesthetic or put me to sleep during Mohs surgery? How are skin cancer roots seen by your Mohs surgeon? How many stages are needed to remove a skin cancer with Mohs surgery? How is the skin repaired and closed after a tumor is removed with Mohs surgery? Will I need a skin graft after Mohs surgery? What is a Linear Closure and will it be used to close the skin after my Mohs surgery? How is a skin flap used to close skin after Mohs surgery? Is the skin always closed with stitches after Mohs Surgery? Why will my skin be stitched closed in layers? How many stitches will I have after Mohs surgery? Can my skin heal by itself after a Mohs Surgery? What should I expect in the post operative period after Mohs Surgery? What is a Spitting Suture? What can I do to avoid getting a scar after Mohs Surgery? Can laser help my scar after Mohs surgery? Can anything go wrong after Mohs surgery? Does it take a long time to recover from Mohs Surgery? Do I need a bandage after Mohs surgery? Should I use antibiotic ointment after Mohs surgery? Is it possible to get a post-operative infection after Mohs? What should I do if I have bleeding from my Mohs surgical site? Why is my leg taking so long to heal? Do I need a full skin exam after Mohs surgery? Should I drive myself home after my Mohs surgery? When should I be concerned about a new spot on my skin? When is the growth on my skin considered "precancerous"? Are there different types of moles? When is a mole considered atypical? How do I know if my skin lesion is a Basal Cell Carcinoma? How does Basal Cell Carcinoma grow in the skin? Where on the body does Basal Cell Carcinoma usually develop? What are the consequences of not treating a Basal Cell Carcinoma? How do I know if my skin lesion is a Squamous Cell Carcinoma? What are the risk factors for developing Squamous Cell Carcinoma? Could my medical condition predispose me to Squamous Cell Carcinoma? How does squamous cell carcinoma grow in the skin? Can Squamous Cell Carcinoma spread and metastasize? Where on the body does Melanoma usually develop? How can I distinguish melanoma skin cancer from benign moles? Are there different types of Melanoma skin cancer? How do I know if I have sun damage on my skin? Do I need a yearly skin check? Are Individuals with darker skin tones at risk for skin cancer? Does my job increase my risk for skin cancer? Are veterans at risk for skin cancer? Should I worry about my child’s birthmark becoming cancerous? Could mole mapping help me and my doctor detect a skin cancer? Can Vitamin B prevent skin cancer? Do Non-Steroidal Anti-Inflammatory Drugs prevent skin cancer? Can cosmetic procedures prevent skin cancer? What kind of hat has the best sun protection? What should I know about Tanning Beds? Are Sunless Tanners good for the skin? before permanently settling in the unique locality of Austin. 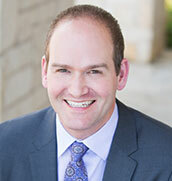 Dr. Adam Mamelak is the founder of The Austin Mohs Surgery Center and Sanova Dermatology, both based in Austin, Texas. He received medical training at some of the most esteemed institutions in the world, including Queen’s University in Ontario, Canada, where he earned the illustrious Gold Medalist award—the highest distinction offered by Canada medical schools. After continued instruction in Massachusetts and residency in dermatology at Johns Hopkins University, Dr. Mamelak later relocated to the Southwest where he studied Mohs Micrographic Surgery and Procedural Dermatology at the Texas Medical Center in Houston. Our Mohs surgeon and dual board-certified dermatologist (in both the U.S. and Canada) created a Mohs micrographic surgery practice in Ottawa, the first-ever in that city, before permanently settling in the unique locality of Austin. The Austin Mohs Surgery Center accepts most major insurance plans. To find out if we accept your plan, contact our office at (512) 369-3120. Please note, if you have an HMO or Managed insurance plan, you may need a referral from your primary care doctor's office prior to scheduling an appointment.